Simone Cosac is an Italian company of body and home fragrances, made in Italy, recently established by Simone Cosac in 2008. Her aim is to celebrate the femininity and the elegance through the Renaissance art of perfumery. The medicean villa that Grand Duke Francesco I de' Medici gave to Bianca Cappello, where Simone currently lives with her family, gave her the inspiration to found the company: she, in fact, dreamt to be in the garden of the villa with Bianca Cappello, who showed her the exclusive notes to create the first perfume, Perle di Bianca. 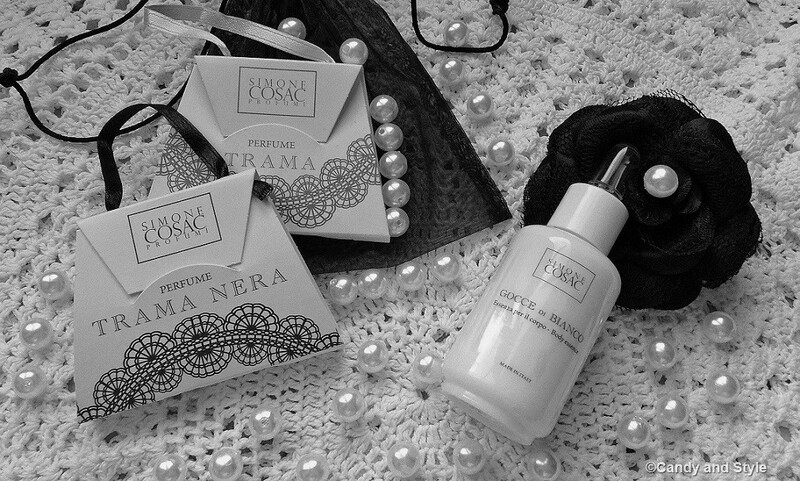 Do you already know Simone Cosac perfumes? Which kind of scent best describes you? Are you loyal to only one or do you love to change depending on the moment? é la prima volta che sento questo nome però mi hai incuriosito! Buon week end cara. It's the first time I heard of them, but they sound really nice. Hi Lilli, this perfume looks so elegant and must smell good. I like the packaging. It must be nice to see her family Villa and gardens too. I am usually loyal to several perfume brands and I used them on different days. anch'io Lilli non lo conoscevo questo marchio ma se è made in Italy lo voglio provare assolutamente!! No non li conoscevo ma dalla tua descrizione sembrano essere molto interessanti. Anche perche' non ho ancora trovato il mio profumo ideale! What can I tell you dear Lilli is that sometimes in a hurry I can forget to use the perfume without feeling empty. It's ok being protected with antiperspirant. 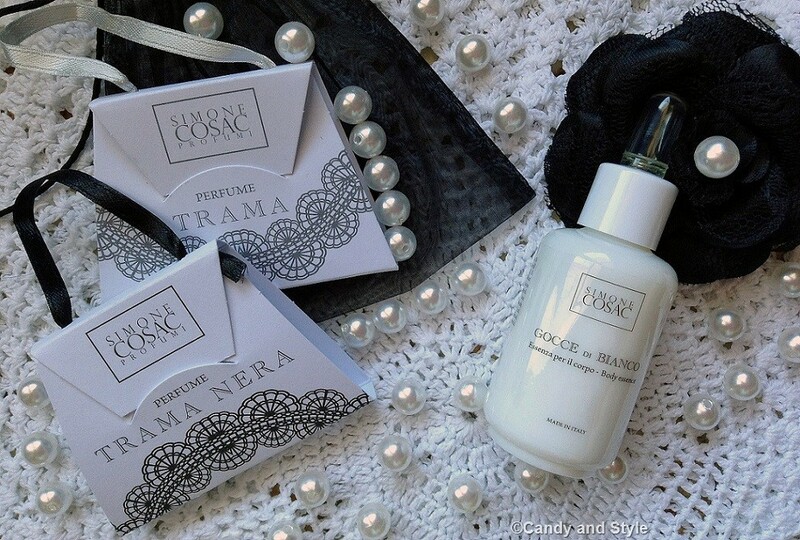 My fav perfume is Vengeance Extreme, but I would love to try Trama Nera especially. Hi Lilli. I have never heard about this Italian brand but I'd love to give it a try. I love perfume body lotions! I am not loyal to only one scent because when I use only one perfume longer, I get used to it and I can't smell it. That's why I use different perfume every day (I have like 4 different perfumes). The packaging of Simone Cosac is lovely, I checked her website as well. Have a lovely weekend! I hadn't heard of this brand before, I'll visit the site now. I love perfumes! I like to experiment with new scents, but there is one I've been wearing for more than a decade. Non lo conosco Lilli, mi piacerebbe provarlo! Hi Lilli the package is elegant captivates at first sight and the smell should be delicious, I have fragrances for different times, a party, work, a night out with friends. Have a nice weekend dear! Neanche io lo conoscevo, oenso che Gocce di Bianco sia assolutamente da provare. Adoro i profumi un po' floreali. Li sto testando anch'io e sono davvero buonissimi!!!! Ottima review! Non li conoscevo.. ma mi piacerebbe provare!! I hadn't heard of this brand but it looks elegant and pure. I always wear perfume too hun, lately i wear la vie est belle by Lancome. I love it. Intanto complimenti per le foto - molto artistiche! Lucky you Lilli! This brand is new to me but the packaging is beautiful and your experience with the fragrances sounds incredibly lovely! I tend to like light floral scents and I'm kind of boring that I really only wear a few fragrances that I'm comfortable with. Have a marvelous weekend dear friend! Dai Che non Li conoscevo? Dear Lilli, i never heard about this italian label, but you made my nosy. your description sounds interesting, because i like the smell of flowers. I´k like you, i never go out without perfume. It´s very important for me a perfumeis not so heave and intrusive. The bottle of Gocci di Bianco looks elegant. I haven't heard of this brand before but it sounds interesting and I'm attracted to the stylish packaging too. I tend to stay loyal to brands I have used for some time but I'm always willing to try new ones as well. I prefer lighter fragrances in the daytime especially in the summer months and usually change them in the winter. Beautiful packaging. I haven't heard of the brand. looks cool. I'm in love with the packaging! So dainty and feminine! I bet the scent is great. Thanks for the introduction Lilli! Anch'io non esco mai di casa senza profumo e devo dire che non amo cambiarlo spesso. Questo brand non lo conoscevo ma proverò a informarmi meglio per saperne di più. Un bacio e buon fine settimana. Ciao Lilli! Lo sai che non lo conoscevo questo marchio?Dalla tua review ora sono davvero curiosa!!! è sempre un piacere leggere i tuoi post perché mi fai sempre conoscere nuovi ed interessanti brand!! Non conoscevo questo brand ma che cura dei dettagli! Such a beautiful set of photos! Ciao Lilli spero tu abbia trascorso una bella estate anche se penso non sia ancora finita li in Sardegna :)) bellissime foto , li vorrei provare tutti! Have a great weekend, my dear Lilli!! Non conoscevo questo prodotto, ma sembra buono, voglio provarlo! Sai che non lo conoscevo? Mi piace sempre scoprire delle fragranze nuove! Hi Lilli, I've never heard of Simone Cosac before but from the way you describe the scents, I feel like I want to go to scent heaven too, In fact, I also feel like taking a sniff at Gocce di Bianco since I adore the scent of flowers very much. I tried googling but could not find anything. Maybe because it is a unique Italian label or something? ...non conoscevo questo brand...mi incuriosisce...io nn sono fedele ad un profumo...però in genere adoro le fragranze dolci!!! mi piace molto anch eil nome del primo profumo, che ritengo sempre un aspetto importante! Non conoscevo questo marchio! da provare! Non conoscevo questo brand, mi hai proprio incuriosita, Lilli ! Poi mi piace molto il packaging con il bianco :-) Bacioni e a presto ! The perfume oil sounds really interesting - lovely bottle, too!